The Micro-Arc project will study the microbial components of the Arctic food web, focusing specifically on planktonic microorganisms that inhabit the water column. Using a range of contemporary tools, we will determine how planktonic microbes regulate organic matter biogeochemical cycling and establish how these processes vary through the dramatic Arctic seasonal cycle. Also, using advanced computational modelling, we will use this information to predict how future climate change will impact the structure and functioning of the microbial components of the ecosystem. This is an exciting opportunity to bring together our interdisciplinary UK/German team to understand the major roles the planktonic marine microbes have in the Arctic carbon cycle and examine the impacts on these processes of future climate change scenarios. 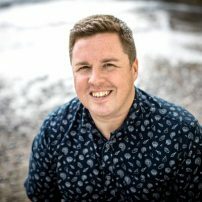 I am a marine microbial biologist and ecologist, and hold a joint appointment between the Marine Biological Association (MBA) and the University of Plymouth. I am the co-lead investigator of the Micro-ARC project and will lead the microbial components of the research. 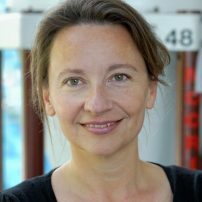 Anja Engel a professor for Biological Oceanography at the Helmholtz Centre for Ocean Research Kiel (GEOMAR), Germany. Her research addresses biogeochemical processes, with emphasis on microbial carbon cycling, within the upper water column, at the interface with the atmosphere as well as export processes to the Deep Sea. Anja is a co-lead investigator in the Micro-ARC project, co-funded by BMBF and NERC.